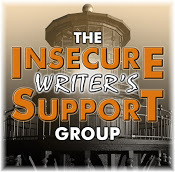 This is an IWSG post, and you know the drill: visit Ninja Captain Alex, then jump on the linky. Be sure to visit this month's cohosts: Mary Aalgaard, Bish Denham, Jennifer Hawes, Diane Burton, and Gwen Gardner! Lately, I’ve been taxed past my normal operating parameters. I sound like a machine because I’ve been working myself into exhaustion and dealing with crap WAY above my maturity level. We pulled up the floor in my house and low and behold, there was a leak…from under the tub. Yeah, a leak at the drain. So we had to rip out the tub, the walls, the sink (which started it all! ), and we’ve been furiously working to replace everything. Everyone in my house has been through some sort of flu and/or cold. Yeah, nothing like being sick when the only functioning bathroom no longer contains a working shower (going to the gym for those) or a sink (gotta wash your hands in the kitchen). And this wasn’t a planned construction project, so it’s not like we saved up. Also all the adults in my house work full time jobs (mine has 10 hour shifts, joy), and we’re doing all the construction in our off hours. We hit a design flaw, add two weeks of showering at the gym. But I thought machines were the preferred mode. When I’m getting a lot of work done, people say “Wow, you’re like a machine,” but it wasn’t until I was standing in that line that I realized how ridiculous that saying is. Like a machine, implying that machines have some sort of better ability. Admittedly, a machine performing it’s only function will have some great longevity, but only sort of. Take that stupid card reading machine. My grocery store put the new ones in about 9 months ago. That store is open from 5 am to midnight, and they break the shifts into four hour blocks, so about five four hour blocks a day. Most people work two four hour blocks. So the machines that are already breaking have, for the last 9 months or so, have been working 5 four hour blocks a day, the equivalent of 2.5 full time employees. But they’re breaking at 9 months. So they’re dying after the equivalent of 23 months of full time work. Two years. (Coincidentally, this is how long I budget for my laptops to last because I’m rough on electronics). And those machines didn’t have to go home and deal with all the crap that comes up in the real world. They never have to push through a shift when all they want to do is go home and read a book, or curl up under a blanket and pretend that North Korea isn’t ready to blow up the world. The machines never have to come in to work when their kid is sick. And the machine only does ONE JOB. The second things aren’t perfect for a machine, it ceases to function. No limping it off, it just dies (well, I guess Opportunity limps, but that’s a super machine with an AI, but even that is pretty limited). The only real caveat to this is the Boston company and their freaky door handle opening robots. Those are freaky, but they still have the falling over problem (but, the Boston company is pretty much skynet, so there’s that!). In short, you’re better than a machine. Now go write like it! Hey, I wish I could write like a machine. My productivity would go way up. No! You don't want to write like a machine! That's sort of my point, you get the words but not the soul! Stay good, Ken, stay good! Machines aren't perfect. And those card machines should've lasted much longer. You are tough on electronics. Our laptop is over ten years old and still works fine. Sorry about the mess and expense at your house. Thanks, the house breaking unexpectedly is always disturbing. As for the laptops, I'm the only person I know who's released the magic smoke from more than one (yes, I've caught two on fire, but my kid fed one of them a cup of sand and a glass of wine, so not my fault?). Also, and I don't know if this has any bearing on your situation, but when I retire a laptop, I've worn most of the letters off the keyboard, so really I needed a new one anyways! My Hubs and Dad had an axiom about DIY projects. They always take longer and cost more than expected. Don't know how many times Hubs started a project only to discover more problems. So I feel your pain. It's sort of like changing one little think in your story. That means you have to go back and change at least 10 things prior. A real pain. Sorry to hear you're having so many problems. Hang in there. This is a great perspective. And, I'm so sorry about your bathroom, but sometime soon it will all be over and you'll have a lovely new room to enjoy!